I would love to see some insights on creating FM psy leads, that typical agressive full-onish sound. I’ve made some such sounds with FM engines in Spire and Dune2 synths, but they don’t sound as granly and vicious as they are in “big guys” music. What are the important synthesis parameters, what kind of processing is used after the synth’s output, which synths would you recommend? E.g. “Depth Of Emotion” by Dark Soho, the lead playing between 1:18 and 3:28. This is an FM sound isn’t it? I’ve also heard similar sounds in many other darkpsy/full-on tracks. You are right, that lead sounds like an FM to me. 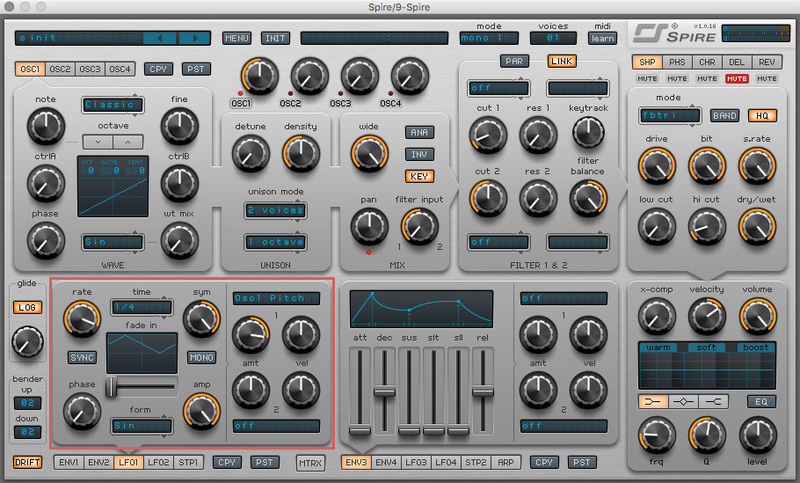 Also, you’re right that Spire is probably not the best choice for this job (can’t say such about Dune), I think synthesizers like U-He Zebra or Xfer Serum would do this better. Speaking the truth, I’m not as good in sound design as I would like to. So, to answer your question, I asked an expert to help — Tetarise. He is a music producer and sound designer, who dedicated his time and efforts to creating professional sound banks. This is quite simple, and all about Pitch modulation. 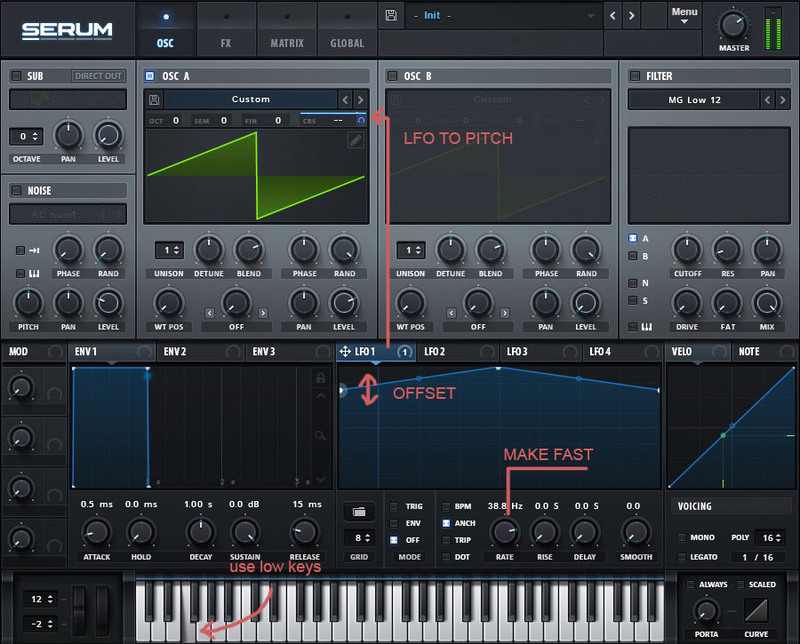 In order to achieve that sound, try to emulate FM synthesis using LFO modulation. Set LFO rate at high speed and offset the starting point to reduce the modulation range. Such method gives a pitch shift effect, most noticeable at lower notes. Wave shape and oscillator settings aren’t making a big difference in this case, it can adjust the character of the sound just a little bit. Marek Dendy Dendeš have added a useful comment on Facebook, so I’ll put the link here. My pleasure! And thanks for your contribution too, nice one!